Create (or update) your estate planning documents.Your estate planning, or lack thereof, is unlikely to make headlines like that of the rich and famous. But the frightening implications of not planning for your inevitable demise lands it in the top financial priority slot, especially for parents of minor children. With extremely rare exceptions, every independent adult should have the following three documents drafted, preferably, by an estate planning attorney: a will, durable powers of attorney and advance directives (health care power of attorney and a living will). Ensure that insurance needsare met.Don’t become the next heart-wrenching 20/20 segment because your family was left destitute after you died or became disabled without adequate insurance for such catastrophic events. Please note, however, the difference between insurance needs and wants. Surprisingly, most insurance needs — especially regarding life insurance— are sufficiently covered with policies that are less expensive than the all-inclusive, bell-and-whistle products often recommended by insurance agents. Pay off any high-interest consumer debt.It’s hard to build assets when you’re dragged down by liabilities. A new reportout from the Urban Institute indicates that one-in-three Americans have debt in collections — you know, that’s when you get nasty calls from unforgiving call centers that purchased your debt for pennies on the dollar from credit card companies and medical care providers, among others. That’s roughly 77 million people! The economic and emotional toll of consumer debt, especially at astronomical rates, makes it financial enemy number one (or, in this case, number three). Earn free money by taking advantage of your company’s 401(k)match.Many companies offer to incentivize employee retirement savings by matching, up to a certain amount, the percentage of your salary that you contribute to the company retirement plan. They may match 100% of the first 3% of your salary that you elect to save, or 50% of the first 6%. In any case, give yourself a guaranteed rate of return by gobbling up those matching contributions from your employer. If not, you’re leaving money on the table. Contribute to a 529 plan for education savings.Education should not be prioritized over retirement, and merely contributing the matched amount to your 401(k) is not likely to secure your future retirement. But once you have checked off numbers one through five, it’s time to consider opening up 529 accounts for children you intend to help through college. Contribute what you can and invite loving relatives to do the same. Contribute the maximum possible to your Roth IRA(s) if your income level allows you to.Nothing’s better than free money, but tax-free money comes close. By contributing to a Roth IRA, you’re filling a bucket of money that should never be taxed (as long as you wait until after age 59.5 to take gains). And, if you are hit with an emergency that runs through your reserves, you can take your principal contributions back out of your Roth IRA at any age for anyreason without taxes or penalties. 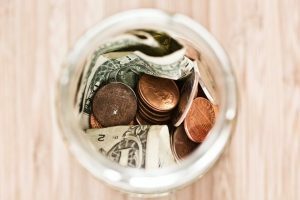 Return to strengthen your emergency reserves.If you really want to sleep well at night, I like to see most households with stable jobs amass three months of reserves, households with more volatile income sources put away six months of savings and the self-employed stockpile a year’s worth of expenses. Come back to your 401(k) and cap it off.If you still have money left after taking advantage of numbers one through eight, you probably have a fairly high income. Maxing out your 401(k) or other corporate retirement plan will not only further pad your retirement savings, but will also reduce your taxable income for every dollar contributed. You may contribute up to $17,500 per person — and a whopping $23,000 for investors 50 or older — in 2014. Set aside excess savings in a liquid, taxable investment account for mid-term needs and projects.Emergency savings helps protect you in the short-term. 401(k) and Roth IRA investments help secure your financial future. But if you’re only taking care of the short- and long-term, it leaves nothing for the mid-term. Therefore, opening a regular, taxable investment account will help you set aside money for a boat, excess education costs, a closely held business investment or the down payment on a second home or a rental property. This money should be invested in accordance with the time horizon for its use. Conspicuously missing from this list are non-deductible Traditional IRAs, annuities, all forms of permanent life insurance and hundreds of other marketed repositories for your money. These products have their uses, but they simply don’t take priority over these ten financial initiatives. In all, I estimate the “cost” of checking off each of the listed priorities to be more than $70,000 annually, surely requiring combined household income of $250,000 or more. That means you can likely free yourself from worrying about any of the additional pitches that come your way until you’ve mastered each of these.